The Trump administration has unveiled what could be its most environmentally consequential rollback — even among the many environmental rollbacks it’s attempting– dramatically weakening auto emission and fuel efficiency standards. 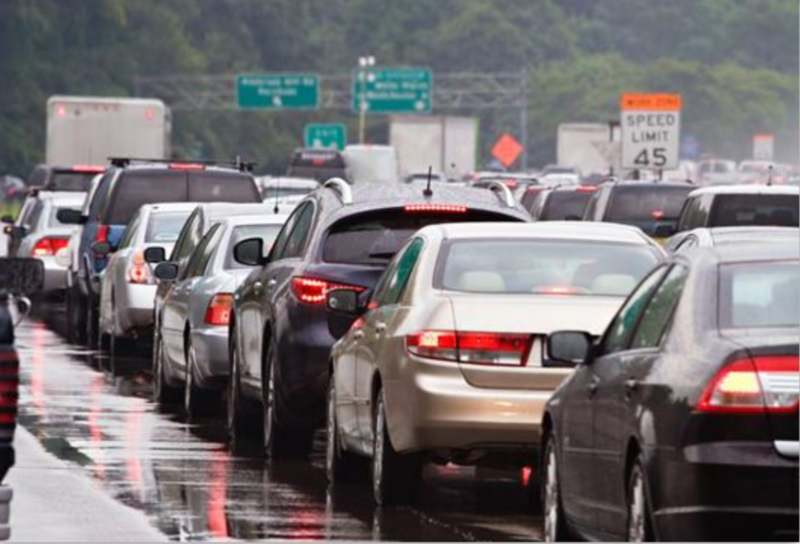 With motor vehicles contributing about two-thirds of standard pollutants to the state’s notoriously bad air and about 40 percent of its greenhouse gas emissions, any rollback could stall or even reverse the delicate progress that’s been made on both. But more drastically, it wants to rescind what’s known as the California waiver – the caveat baked into the Clean Air Act since 1970 that allows California to set its own stricter motor vehicle emissions standards. The most recent waiver, issued in 2013, covers standard pollutants, greenhouse gas emissions and allows the state to have a zero emissions vehicle (ZEV) sales mandate to achieve those goals. Thursday’s action is widely expected to unleash a torrent of legal action that could tie up the process for years, leaving automakers in a limbo they are not happy about. No waiver among the more than 100 California has received has ever been rescinded and it’s legally unclear if or how that can happen. Any number of legal scholars are arguing that the EPA may be on shaky grounds based on arguments it presented. Under Connecticut’s Global Warming Solutions Act, greenhouse gas emissions are mandated to be 10 percent below 1990 levels by 2020, and on their way to 80 percent below 2001 levels by 2050. Greenhouse gas emissions briefly dipped below the 2020 target in 2012, but have been creeping back up since, according to data and projections by the environmental advocacy group Acadia Center. With just about every coal and most oil-burning power plants in New England closed, and the whole region participating in the Regional Greenhouse Gas Initiative to cut power plant greenhouse gas emissions, there’s little the state can do to cut electric sector emissions further. So the key tool Connecticut has to work with to cut emissions on its own are vehicle emissions. Klee said the state’s current modeling for greenhouse gas emissions reduction strategies assumed that the existing federal standards would remain in place. Now his department has to figure out the exact impact the rollbacks would have on meeting the emissions targets. Relaxing efficiency standards means vehicles will use more fuel than they would have under the Obama standards, so that’s likely to have an impact on standard pollutants and the smog and poor air quality to which they contribute. The state remains consistently in “non-attainment” with the 2008 ozone standards. That will intensify as the stricter 2015 standards kick in. If emissions levels are frozen, improvement becomes that much more difficult. Just before the Obama administration began some important changes occurred. A U.S. Supreme Court ruling allowed greenhouse gas emissions to be added to the suite of emissions the EPA could regulate as part of auto emissions – making them eligible under California’s waiver as well. For Connecticut, however, Coleman said what she’s worried about with the rollbacks and rescinding of the waiver – which she thinks will not stand up in court – is the environmental impact.